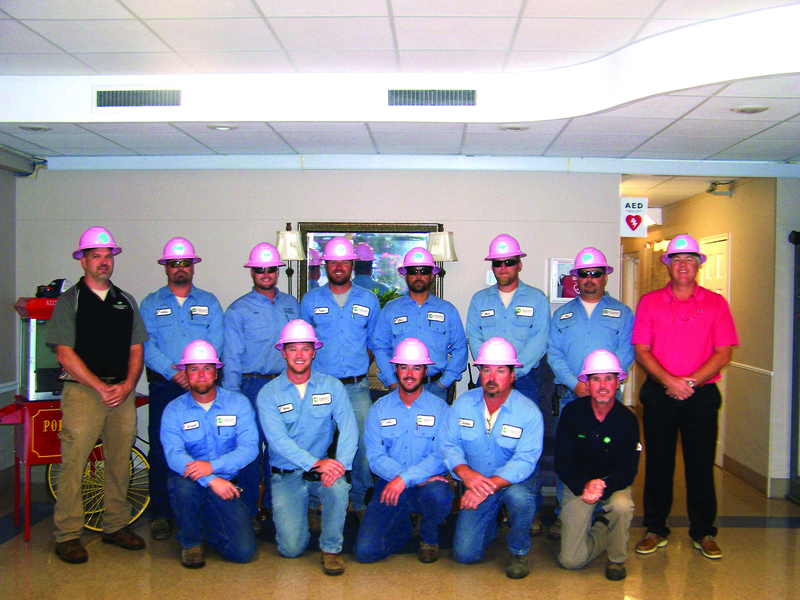 That’s the mantra the 10 linemen, two superintendents, and Manager Greg Grissom at Hickman-Fulton Counties Rural Electric Co-op adopted when they chose to wear pink hard hats to remind women to take advantage of the cancer screenings that can save lives. Pennyrile Electric’s 118 employees worked 254,341 hours without a lost-time accident or illness from March 11, 2013, to April 9, 2014. To honor that achievement, Rocky Comito, deputy secretary of the Kentucky Labor Cabinet, recognized the cooperative’s employees with the Governor’s Safety and Health Award. Editor’s note: Since this column was written, Hickman-Fulton Rural Electric Co-op Manager Greg Grissom was hired to replace Pennyrile Electric co-op President and CEO Eston Glover, who retired at the end of 2014.